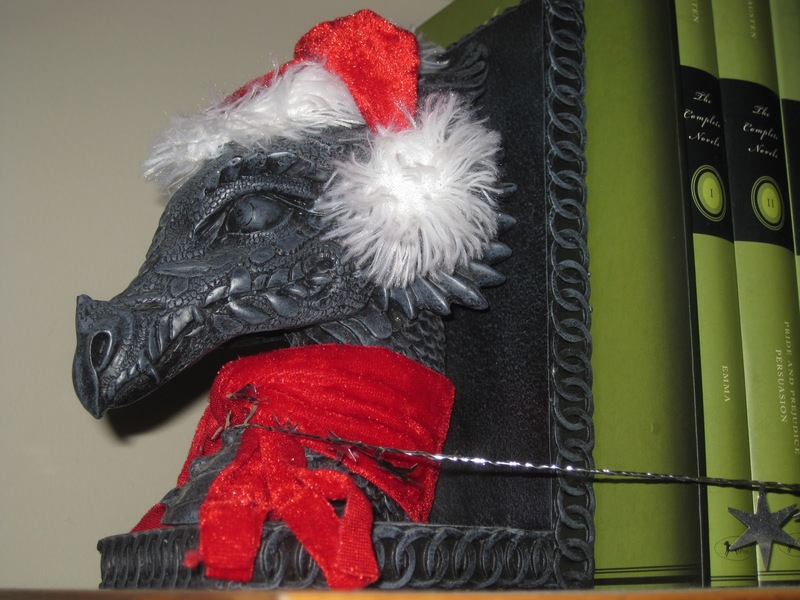 Christmas is right around the corner, and this means that gift-buying season is in full swing. Rather than giving those special someones on your list another sweater or novelty Monopoly set (Monopoly: The Tacky Christmas Tie Edition! ), why not try giving them something they’ll really enjoy? Look below as @Futurewolfie and I make gaming suggestions for the people on your Christmas shopping list. If you’d like more details about any of these games, we’ve linked to our reviews, or you can ask us questions in the comments. If we haven’t covered someone on your list, post a comment, and we’ll recommend something fresh. It’s that simple. Why Buy? 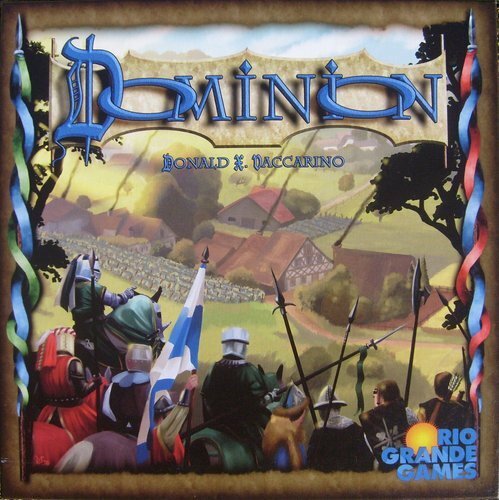 Despite the fact that it has a few naysayers, Dominion is very popular for a good reason. It is extremely well balanced, strategic, and very fun. It’s accessible and plays quickly. I’ve personally recommended it to a wide variety of people and they’ve all loved it—from my eight-year-old cousin to a forty-year-old mom. For the gamer who already owns it, there’s a plethora of expansion packs that add to the variety, but start with Intrigue. It looks a little complex to non-gamers, though, so just make sure you teach them how to play so it doesn’t sit on their shelf. Who to buy it for? Pretty much anyone. Who not to buy it for? I think there’s, like, one guy who doesn’t like this game. Why Buy? 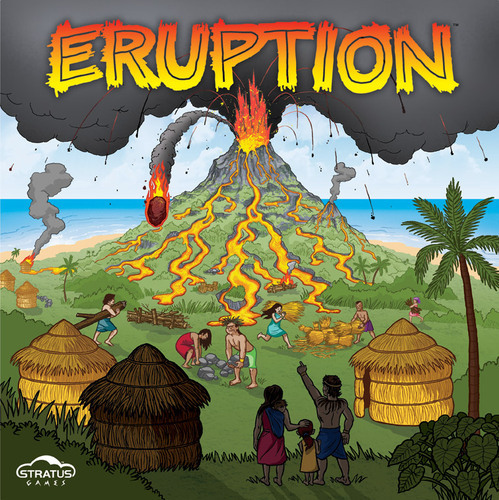 Eruption is a tile-laying game in the vein of Carcassonne. It’s pretty simple and accessible, but instead of building a city, you’re trying to make lava flow toward the other players’ villages. It’s colorful and fun and keeps things light. Even though it’s all about hurting the other players, it tames the hard feelings by rewarding players who fall behind with extra powers. Who to buy it for? The non-gamer, or the parent looking for a game to play with their kids. Who not to buy it for? People who can’t take it when other players attack them. Why Buy? Ascending empires is an excellent space civilization game that takes about one and a half hours to play instead of four to six. 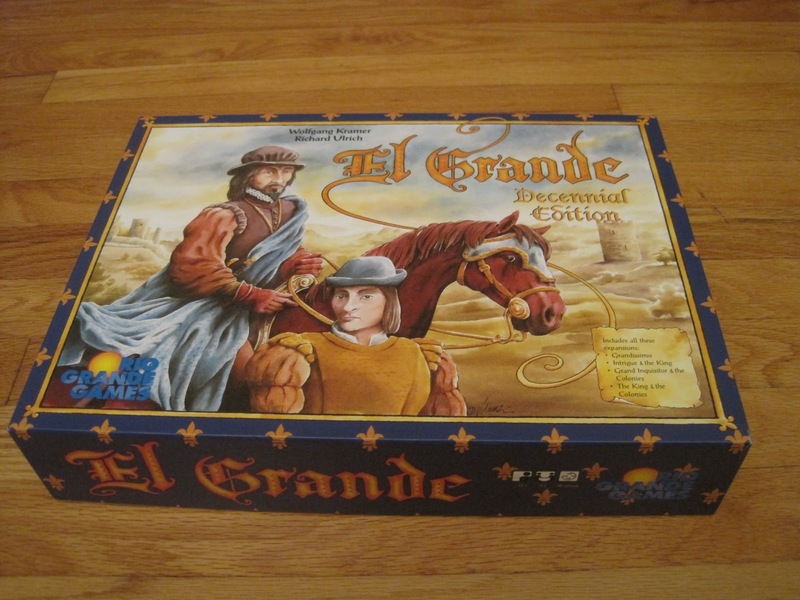 It’s got a straightforward, smooth playing structure that keeps everyone involved, but has a ton of depth. You feel like your strategic decisions matter and your space battles require tactics, with excellent balancing mechanics that prevent anyone from ganging up on one player. On top of that, a delightful flicking mechanism gives the game a unique twist. Who not to buy it for? May be too complex for more casual gamers; also avoid buying for people who hate space. Why Buy? This game is one of the most delightful games I’ve played all year. It is so easy to play, and many people are already familiar with the structure, which is similar to Mafia or Werewolf. The Resistance eliminates the player elimination of those games in favor of a team-selection element that keeps every player involved until the end. 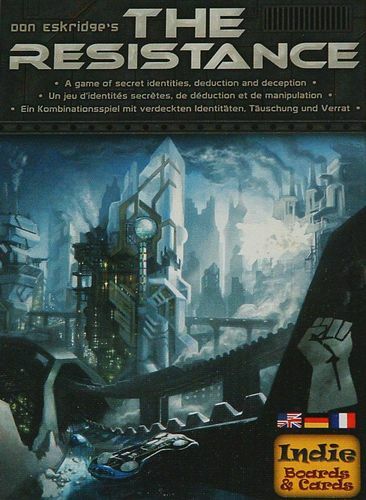 Despite its simple mechanics, it draws players into the tension and mistrust that comes from knowing spies are in your midst, but not knowing who. It takes a few rounds for new players, but once they warm up to it, they’ll be adamantly declaring their innocence. Who to buy it for? The person who likes to have parties. Who not to buy it for? People who yell too loudly. Why Buy? I had to put this game on my list simply because it is currently my number one favorite game. This is one of those games that some people love and some people hate. I love it because it keeps everyone involved the whole time, even when it’s not their turn, with alliances. Fifty unique powers (plus twenty more per expansion pack, with another twenty coming in the spring) interact in wild ways to create a crazy, unique experience each time you play. 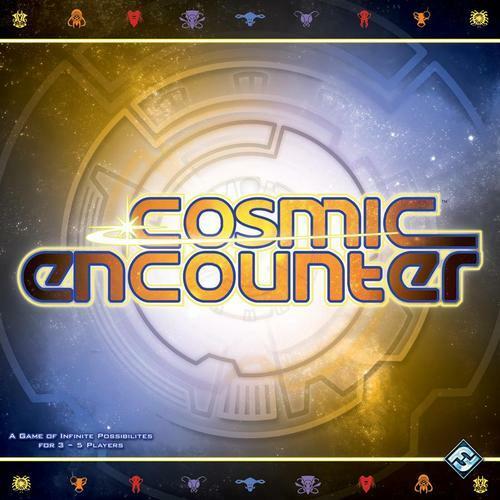 This game has a ton of player interaction both directly in the mechanics and just as a result of trying to manipulate alliances or convince the other players to negotiate, and I have a blast every time I play. Who Not to Buy It For? Someone who already has it. Why Buy? Right after we got married, my wife and I wanted to play games together, but finding something we could both play and enjoy was difficult. Lopsided games of Monopoly, Stratego, Risk, and Word Yahtzee quickly put the kabash on game time. If only we had found this jewel sooner! 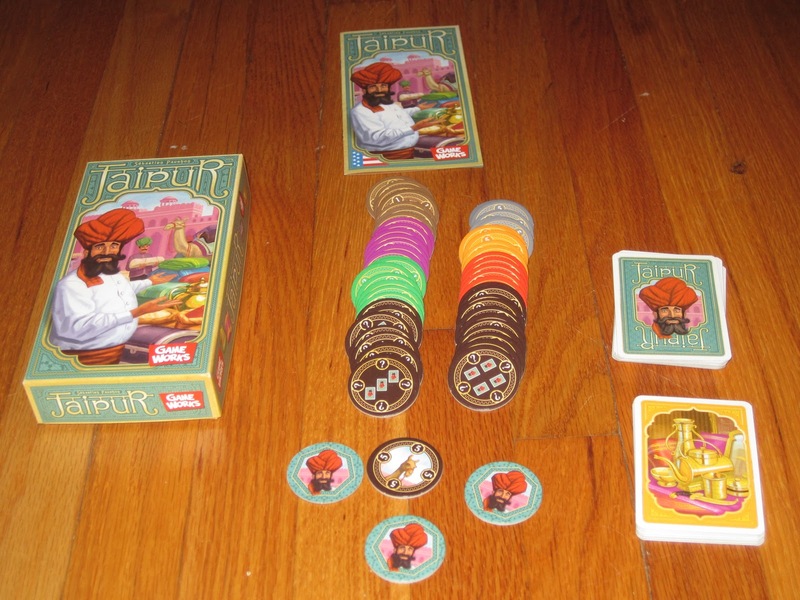 Jaipur is an excellent two-player game of trading and tactics. It’s balanced perfectly, and each decision is loaded with consequences. This remains our favorite two-player-only game. Who to Buy It For? Couples (or your honey) who want to spend more time together. Who Not to Buy It For? The socialite who always has lots of friends around (two is all this game can handle). Who to Buy It For? People who like a lot of player interaction and interesting decisions, who are willing to stick with something long enough to learn it. Who Not to Buy It For? The most casual gamers (who are only interested in party games) and @Futurewolfie. Why Buy? This is a halfhearted recommendation in some ways, since I have played so many games of this that sometimes I groan when it is suggested. But the reason I’m recommending it is that people love this game. Everyone, really. Young and old, male and female: all can play, enjoy, and be competitive. 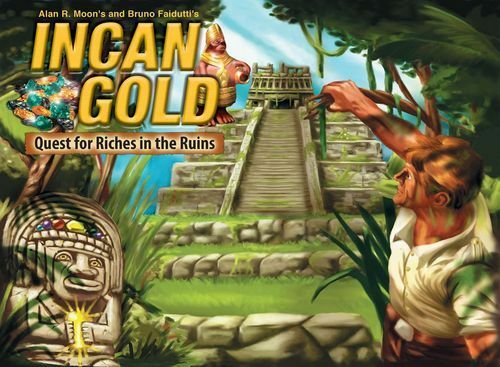 Incan Gold is a press-your-luck game of simultaneous play and binary decisions. Do you explore the temple further, or high-tail it home with your loot? The decision is that simple, even if the choice is difficult. Only those who explore further have a chance at more treasure, but those who go back to camp are safe from mummies, fire, rocks, spiders, and snakes. I have no choice but to recommend this game because I have yet to run into anyone who didn’t like it. Is it simple? Yes. But that’s not a bad thing as it keeps even children competitive. An excellent filler game (~20-30 minutes) for three to eight players (with a sweet spot around five or six). And if I’m honest with myself, I still think this game is awesome. Who to Buy It For? Families, socialites, gamblers, Indiana Jones wannabes. Why Buy? 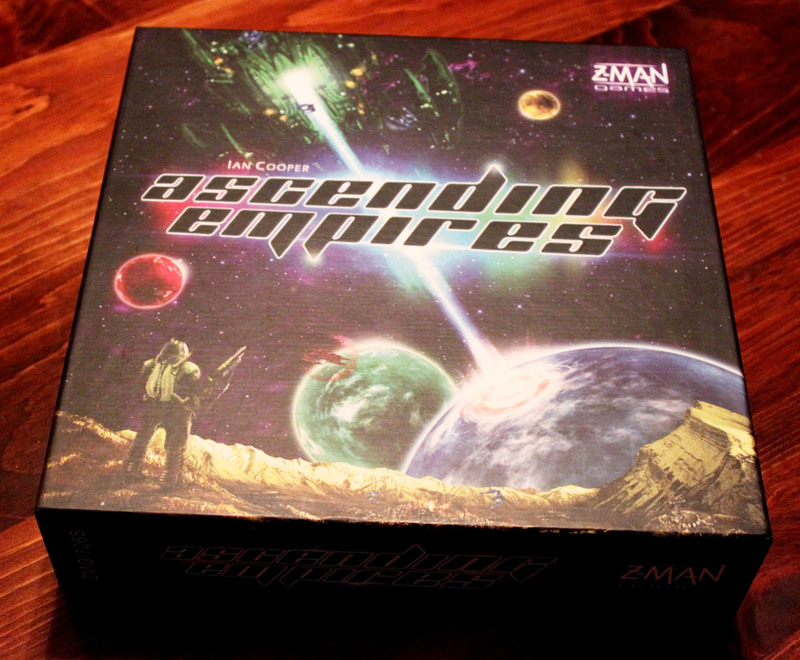 On a pure enjoyment (and almost every other) scale, this is my favorite game (Acquire and Dominion come close…). It has everything a player might want in a game—interesting decisions, secrecy, intrigue, diplomacy—all wrapped in a very Euro package that eschews outright violence. Speaking of the packaging, it’s awful. But the game inside is a real gem. 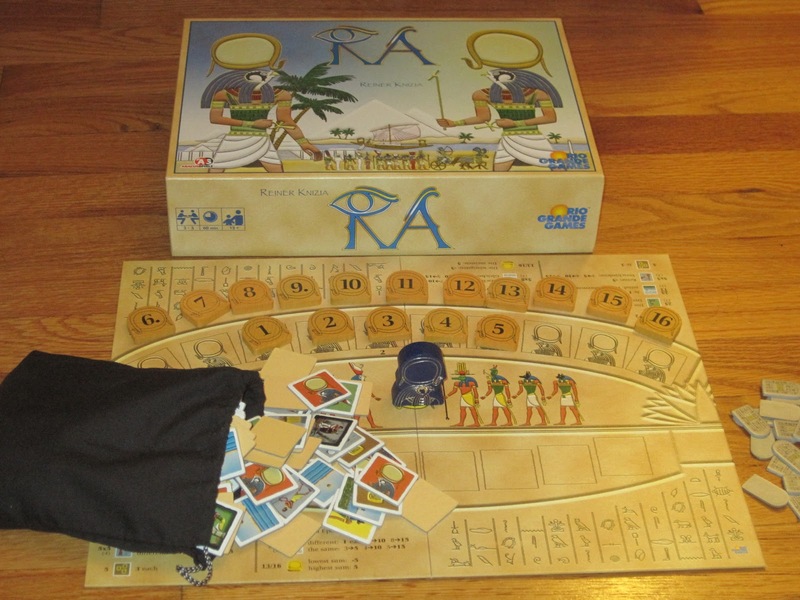 This is ranked within the top 20 on Board Game Geek, that arbiter of board game taste, so it’s only your fault if you haven’t heard of it. This game is meatier than any of my other suggestions, both in terms of content and game length (1.5-2 hours), but I think it’s worth it. Who to Buy It For? The gaming geek, the war gamer, the jerk. Who Not to Buy It For? Those with short attention spans, the aesthete, the casual gamer. Why Buy? This is a great little card game that you can fit almost anywhere (even your pocket…unless you wear girl pants with those tiny, iPod Nano-sized pockets). 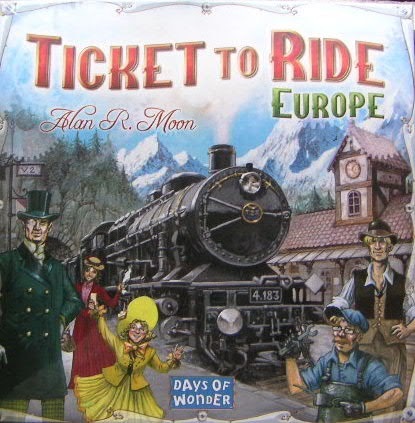 It plays fast, the rules are easy, and it provides a very enjoyable experience. Best of all, if you buy it from the publisher this month (which is, incidentally, the only way to procure a copy), you can get free shipping. Ten dollars for this hidden treasure is well worth it. Who to Buy It For? 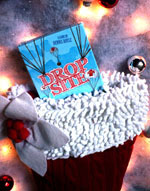 Those who have stockings to fill. Who Not to Buy It For? Those who have no stockings, pets, those on the naughty list, those who wear girl pants (and aren’t girls). Next Article Who Teaches the Teacher? I think I might have to give Jaipur a try. I’ve been looking for a lighter and more portable game to play with the wife. Thanks for the recommendations! Roanders: It’s worth your time, and it’s certainly portable and almost pocket-sized (again, if you don’t wear girl pants).